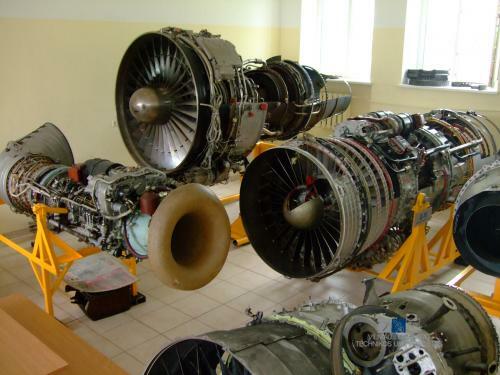 Aviation Mechanics Laboratory is dedicated to the aerospace engineering field of studies: Aeronautics engineering, Electronic engineering (Avionics), automatics (aircraft electrical equipment), aircraft piloting and air traffic control study programs. 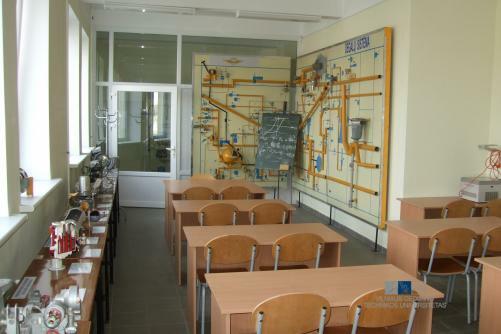 In this laboratory is held computer modeling and simulation; aerodynamics and flight dynamics; aircraft systems; aircraft structure; aircraft engines; technical diagnostics and maintenance; and other aviation discipline lectures, exercises and practical work. 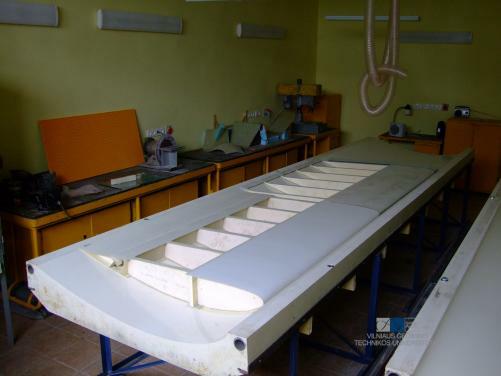 In the laboratory in addition to designing - construction of low-speed aircraft, unmanned flying vehicle, school gliders is possible. In this laboratory takes place aviation disciplines computer modeling works. 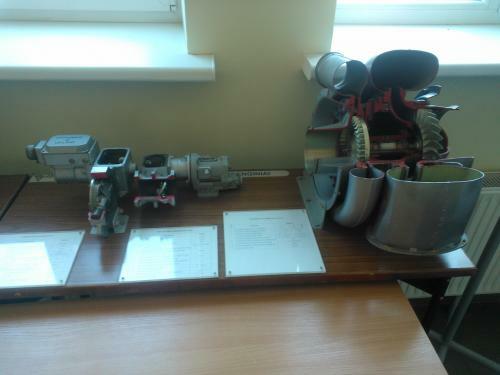 Currently in this laboratory there is aircraft (YAK-42 and TU-134) table and wall stands. They include fuel, hydraulics, air conditioning, lubrication, de-icing, pressure control, fire extinguishing, water supply and drain, lighting, chassis control, breaking, control surface and other systems. 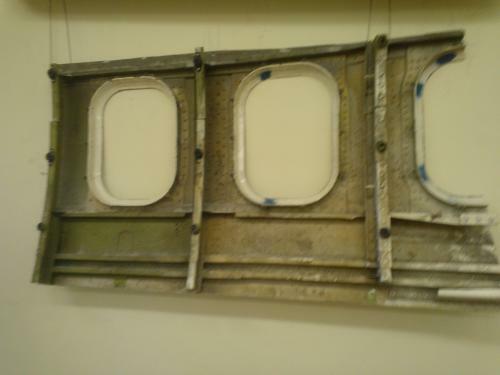 Laboratory also has fuel, lubrication, air conditioning, pneumatic, hydraulic, control surface, de-icing, fire extinguishing, landing gear and other system parts and assemblies of Boeing 737, ATR-42, Cessna 152, Cessna 172, Cessna 310, An-2, An­‑26, Jak-42, Jak-52, Mi-2, Mi-8 aircraft. 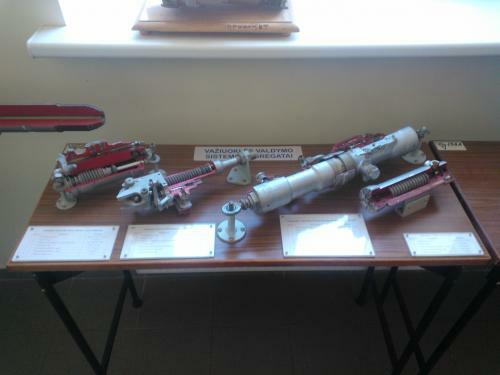 With help of aeronautics engineering students table stands of helicopter Mi-2 are being made. 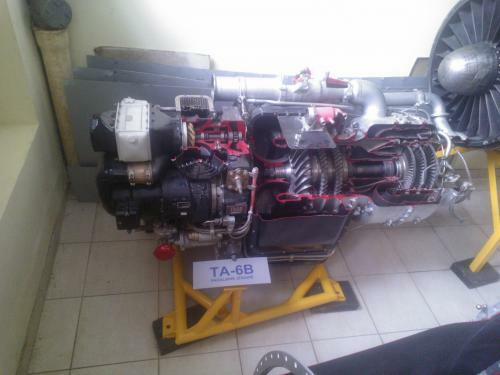 Also there are aircraft fuel, lubrication and hydraulic system stands for practical work being designed. 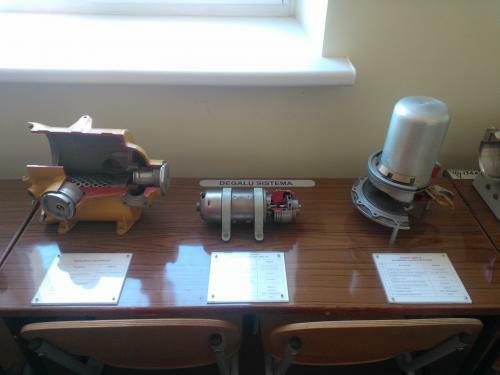 In this laboratory students are introduced to aircraft engines: turbo jet D-30 and AI-25, turbo fan D-36, turbo shaft TV2-117A and GTD-350, auxiliary power units TA-6V and AI-9, radial engine А(Sh)-62IR. Due to the lack of space some engines are stored. 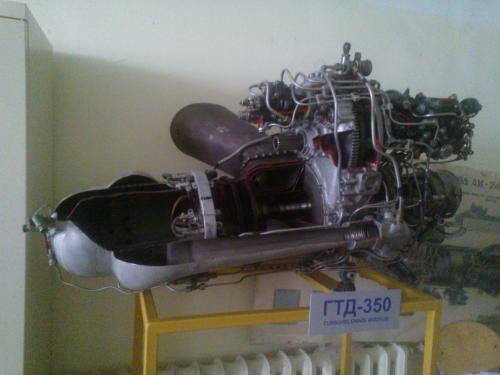 In this laboratory also are various engine parts, subassemblies and systems. 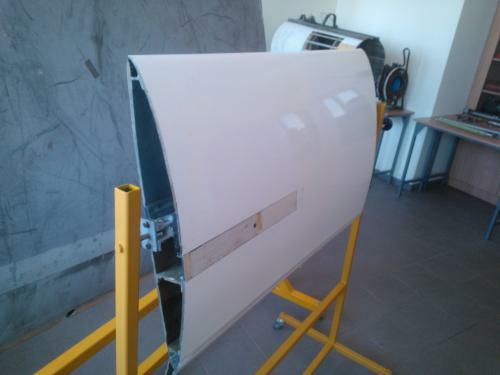 In this laboratory there are student designed and made school glider wing forms. Currently the glider wings are made and tested. 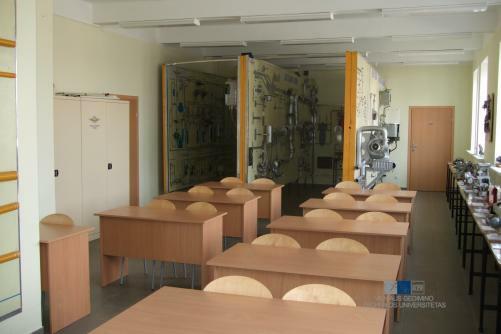 There also are vacuum pump, painting and battery charge cabinets, drilling machine and other equipment. This laboratory is currently being developed. It is going to have student made wind tunnels that are currently designed. 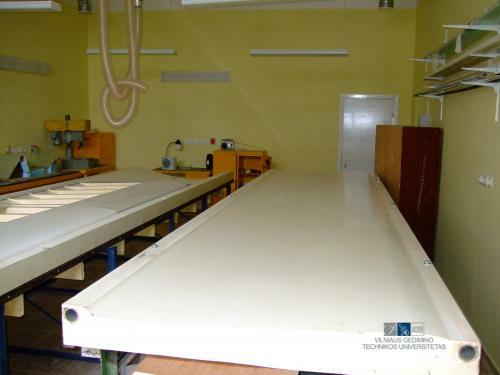 For this laboratory it is planned to acquire optical, eddy current, ultrasonic and magnetic diagnostic equipment. 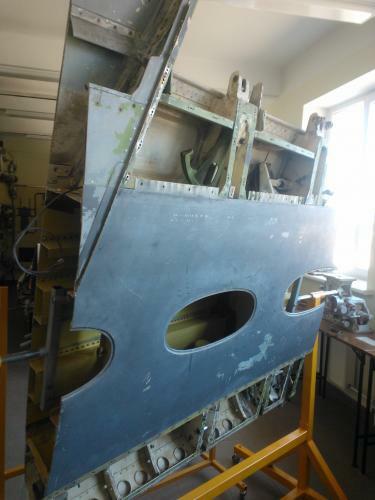 Due to the lack of space this laboratory currently does not exist, but there are structure assemblies of Boeing 737, ATR-42, Cessna 152, An-2, An-24, Jak-52, Mi-2 and Lak-17 currently stored. 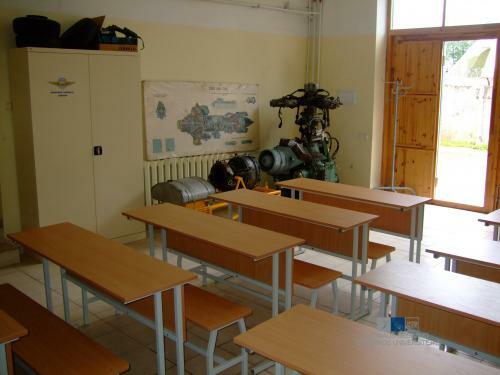 Due to the lack of space the aircraft maintenance laboratory currently does not exist. Laboratory owned L-39C and Mi-2 aircraft (acquired from Air Force) stands in Vilnius international airport territory. 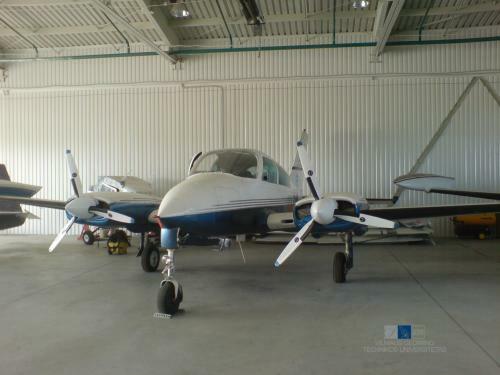 Laboratory also has two-engine aircraft Cessna 310Q.